Click the button below to add the Oily Hair Shampoo to your wish list. This clarifying sulfate-free shampoo deeply cleanses your scalp and hair to leave hair shiny, bouncy, and fuller looking. Lemongrass, Tea Tree, and Basil have antibacterial properties that purify oily roots for beautifully fresh, flowing hair from root to tip. Blended with wholesome ingredients that help restore balance to your scalp while providing a refreshing natural lemon citrus scent. Botanical extracts Nettle and Licorice work to soothe your scalp and remove excess oils and buildup leaving hair feeling fresh and pure. The shampoo is free of parabens, dyes, and silicones. If you have oily hair, this shampoo is amazing. I have used a lot of other shampoos, and most don't remove enough oil out of my hair and scalp. This is the only one I have ever used that keeps my hair looking clean. I only had to shampoo one time, and my hair was squeaky clean. With other shampoos, I have had to shampoo two to three times before it cleaned. This leaves my hair clean and silky soft without drying it out. Our Oily Hair Shampoo removes excess oil and buildup leaving hair that is fresh, manageable with irresistibly soft strands. Tea Tree and Lemon gently balance without stripping hair of its natural moisture. Nature’s best ingredients provide nutrients with vitamins that help balance and normalize your scalp. I cannot say enough good things about this shampoo for oily hair! I got this to keep more natural products. I have very fine long hair that can only go about a day before it looks so oily and flat. This shampoo makes my hair feel soft and clean and less oily for longer than one day with more volume. The other thing I love is that it doesn't dry out my scalp at all like other oily hair shampoos can. Does what it says. Wow! The oily hair shampoo works great. I have been using it for a while, and it cleans my hair very well. Not over drying my hair. After using this shampoo, I can skip a day now and then. It makes my hair soft and manageable, and I can use it every day without a problem. Love that it doesn't have any of the sulfates, parabens or nasty chemicals. Anti-fade, color safe formula keeps hair color longer without chlorides or sulfates. Protects color from sun, wind and pool water damage. Color is sealed in to last longer. Hair is volumized and vibrant, helps detangle, strengthens hair, and helps prevent damage. It's theorized that applying Jojoba to the skin can trick the skin into thinking it is producing enough oil, thus balancing oil production, making Jojoba oil perfect for oily hair. Lemongrass essential oil helps to balance oily skin, smells grass-lemony, and rejuvenates oily skin. Panthenol Vitamin B5 strengthens hair and soothes your scalp while dirt, sebum and dead skin cells are lifted away from follicles. 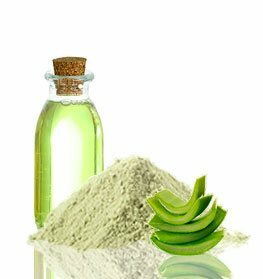 Aloe Vera has been used topically for thousands of years to help with many skin and hair conditions. Naturally scented with pure Lemongrass, Lemon, Tea Tree and others makes for a crisp, clean, and refreshing experience. • If you feel your hair is still oily, we suggest using our Vinegar Rinse Cleanser. • Allow your hair to air dry. If you must use a blow dryer, use it at a low setting. • Try to keep shampooing to a minimum of twice a week. Daily shampooing can cause hair color to fade and dry hair out. 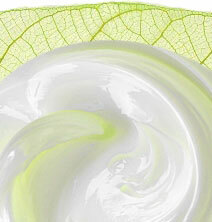 • For shinier, softer hair, drinking 8 to 10 glasses of water will help moisturize and improve the appearance of hair. Aloe Barbadensis (Aloe Vera Hydrosol), Urtica Dioica (Nettle) Extract, Glycyrrhiza Glabra (Licorice Root) Extract, Citrus Limonum (Lemon)Oil, Sodium Lauroyl Isethionate, Melaleuca Alternifolia (Tea Tree) Oil, Simmondsia Chinensis (Jojoba) Oil, Cymbopogon Flexuosus (Lemongrass) Oil, Anthemis Nobilis (Chamomile) Oil, Salvia Sclarea (Clary Sage) Oil, Lavandula Angustifolia (Lavender) Oil,Rosmarinus Officinalis (Rosemary)Oil, Thymus Vulgaris (Thyme)Oil, Methylcellulose, Glycerin,Ocimum Basilicum (Basil) Oil, Glyceryl Caprylate, Guar hydroxypropyltrimonium, Citric Acid,Hydrolyzed Rice Protein, Panthenol (Vitamin B5). Awesome shampoo...does exactly what it should by gently removing the excess oil from my hair! You can feel the difference with one use. I use this shampoo once a week and follow with the conditioner for oily hair that helps to make my hair really soft, shiny, and clean. This is a wonderful shampoo for my really oily hair. I could tell while I was washing with it that it was working. It lathers up really nicely for a nutritive shampoo and then rinses freshly clean. It gave my fine hair good body and shine. I love this oily hair shampoo. I have thick, wavy, oily hair. Between the oil my scalp makes and the styling products I use, I need something to thoroughly clean my hair. I have tried many other shampoos, and this is the best. My hair feels healthier and looks better for a longer amount of time. LOVE IT!! This shampoo for oily hair will literally leave your hair squeaky clean. It does what it says, it'll remove any oil residue from your hair. I use this once or twice a week and I couldn't be happier with the results! It's great! My hair feels incredibly clean fresh after using this. This shampoo for oily hair is very light, and there are no harmful chemicals at all. With this shampoo my hair has become so soft, and the smell is very good too. This stuff works amazing for my super oily hair!! I usually have to wash every day and since I started using this, I only have to wash every other day! I found this brand long time ago(almost 8 yrs ago)! Before found this brand I used many other companies shampoo. All organic products mostly greasy... Only this brand is feeling well clean and comfortable to my hair. Very satisfied first time using and until now. I recommend my friends a lot. All my friends are satisfied with this brand shampoo and conditioner and more. I've used other type of shampoos and found this one perfect to my hair. Thank you for providing good products and I hope the business grows!! IT WORKS AND SMELLS GOOD, IT HAS HELPED MY DAUGHTERS HAIR. This has worked wonders on my daughters oily hair! It still looks clean after 24 hours! Combined with the conditioner, works perfect on oily hair. And it doesn't strip away the "good stuff". I really like how much this shampoo lathers unlike most organic shampoos. I have only used this shampoo for about a week and it cleans better than other natural shampoos. Hopefully after my hair gets used to it starts to really clean!